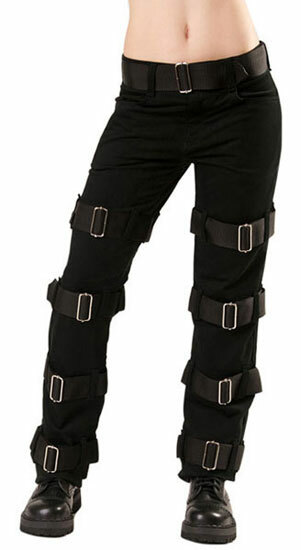 These Gothic Industrial black denim jeans by Black Pistol have belt loops with buckle straps running down the legs. They come with front and back pockets. 98% Cotton 2% Spandex. Imported from England. 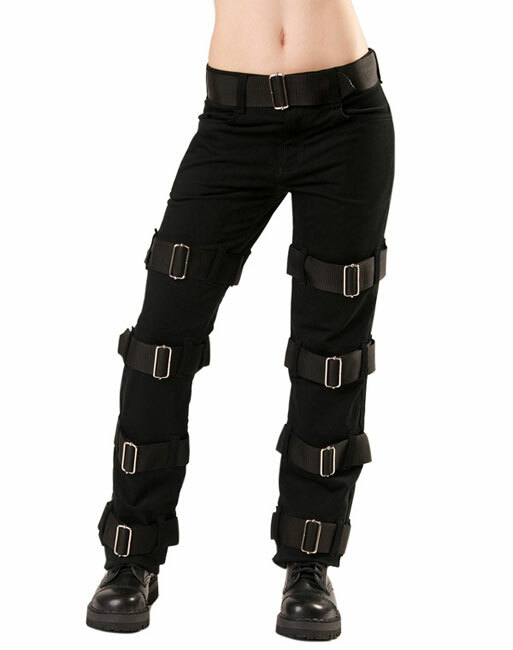 These pants are great the belt details look fantastic. Really dark and just really fit well. Amazing buy! !